Loved for a variety of culinary uses, Basil is an easy-to-grow indoors herb that you can harvest any time of the year. 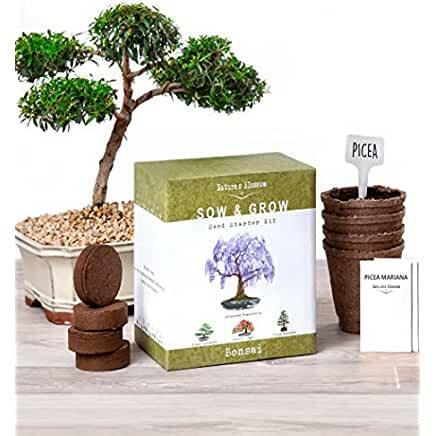 As long as you have ample space to provide the plant with a minimum of direct sunlight for six hours per day, you’ll be happy growing this tasty herb. Growing basil indoors is fairly easy, so even beginners will find their effort are likely successful. With more than 150 different varieties available, basil is delightful to use in sauces, creams, and for a variety of additional culinary uses. 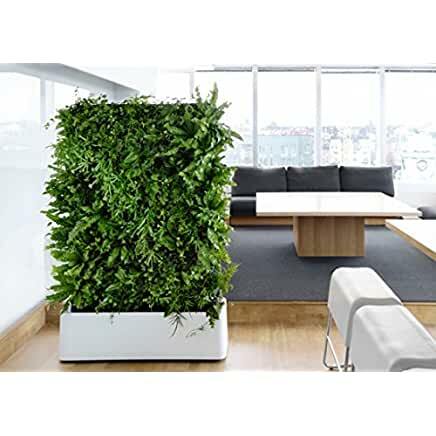 Growing Basil indoors is rewarding both with a plentiful supply of this fresh herb and the feeling of accomplishment with the results of the finished product. Read on to find out tips for growing basil indoors! No matter which Basil variety you elect to grow, the basics for successful plants is the same. 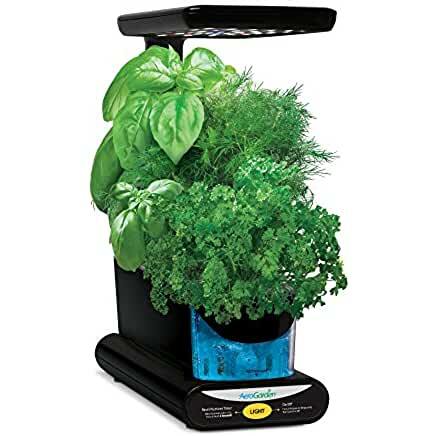 With the right pot, sunlight, and harvesting techniques, it is more than possible for you to grow a plentiful supply of delicious Basil year-round. Having a fresh supply of herbs in the winter is a truly wonderful thing, and is one of the great benefits of growing indoors. Selecting the perfect pot is the first step in successful Basil growth. The pot chosen for your Basil should be one that allows water to properly drain. Over watering can do grave damage to your plant! Our general suggestion is clay pots with a few drainage holes at the bottom. 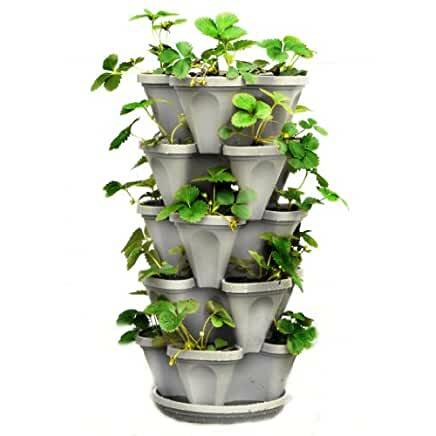 These pots are plentiful and cheap providing an excellent starting point for most gardeners. Clay pots naturally whisk away water, which helps to prevent overwatering, one of the easiest ways to kill a plant. Once the best pot is selected, be sure that you purchase a potting mix that provides adequate nutrition for proper growth for the herb. Cactus mix works well, but is one of many soil choices. Most general purpose potting soils you can buy at home improvement stores will work just fine also. To create the best environment for your basil plant, ensure that the plant is placed in a windowsill (or other chosen area) that enables a minimum of six hours of direct sunlight each day. Basil thrives in sun rich environments, more so than many other herbs. Also ensure that the room is also moist with moderate amounts of humidity. If humidity levels are low in your growing location it’s okay to give the plant a light misting with water. This helps ensure the plant doesn’t dry out between waterings. Proper Basil growing temperatures range from 60 to 75 degrees. This means most homes will be optimal temperature for growing. It’s also very common to move the plant outdoors during the summer, and then transplant it back in the colder seasons. When watering, thoroughly saturate the plant, but allow one-inch of the soil to dry before watering again. Touch the top inch of soil, and feel for moistness to determine whether to water or not. Basil loves water, but is very susceptible to over-watering. How long does it take to Grow Basil? Germination of Basil takes approximately five days, while usable herb is available within four to five weeks of planting. Peak harvesting is at eight to 12 weeks of planting thebasil. Keep the room temperatures appropriate and take other care measures to ensure that your Basil growth occurs within this time frame. Basil is fairly hardy, and will likely grow even with suboptimal care. But, this is likely to stunt the growth and increase the time until usable plant. Harvesting Basil at the right time is important. Removing the white flowers that bloom atop of the plant as soon as you notice them will keep the plant producing beautiful basil for a longer period of time. Pruning the leaves when each branch has approximately six to eight leaves is appropriate. Don’t be afraid to cut back the plant a bit during harvesting as well. A good pruning schedule actually helps the plant grow back bigger and stronger. Keep the Basil soil moist but not drenches. With adequate care, Basil plants grow to a height of one to two feet. Pick the leaves regularly to ensure growth. For the strongest, most flavorful Basil, use it fresh as soon as it is picked. 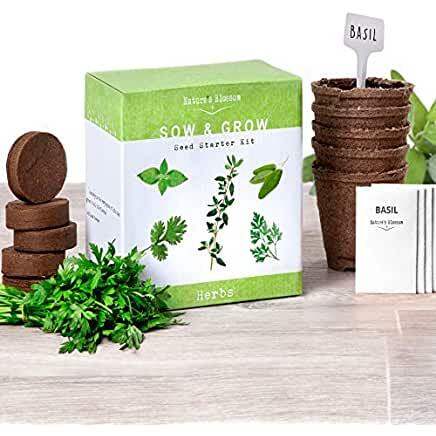 Get Start with Basil Seeds from Amazon!